The AFP media service came to Iceland this week to interview Syrian families who fled a country of war and horror for the peace and safety of Iceland. A Syrian family which settled in the town of Akureyri in North Iceland have nothing bad to say about the weather here. They are happy in Iceland because they are safe. "With 330,000 inhabitants surrounded by volcanoes, glaciers and geysers, Iceland is an unusual destination for refugees fleeing war in Syria. 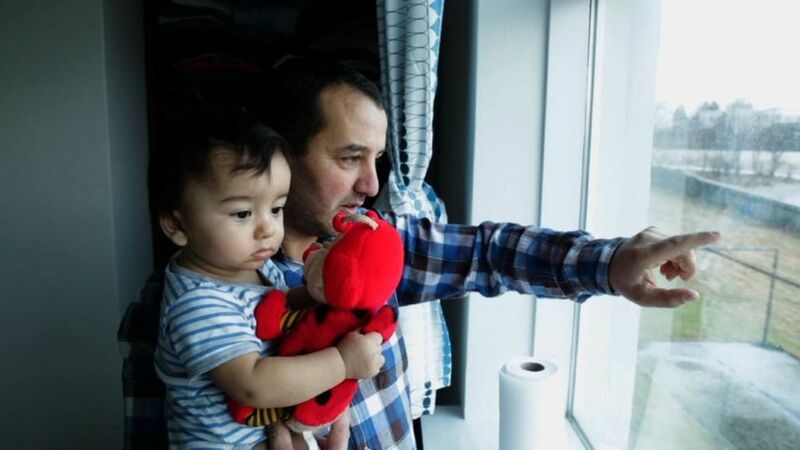 But since 2015, 118 Syrians have found hope for a new and tranquil life in the Nordic nation. Many of them lived in Lebanon for several years before coming to the land of ice and fire, sent by the United Nations High Commissioner for Refugees (UNHCR). " Read the whole report on AFP HERE.